Chinese Vice Premier Zhang Gaoli has called for heightened attention and intensified efforts to resolve the complicated economic problems facing the world's second largest economy. 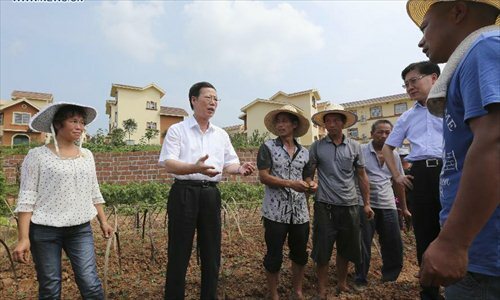 China's economic conditions are "generally stable," but work remained arduous as the country is undergoing a difficult transformation period and the external environment is complicated and grim, Zhang noted during a research tour to southwest China's Sichuan Province from July 5-8. His comments came as China's economic growth is expected to slide further in the second quarter after a short-lived rebound in the final three months of last year, as credit tightening and overcapacity continue to weigh on the economy. China's GDP growth is estimated to slow to 7.5 percent during the April-June period, from 7.7 percent seen in the first quarter, according to analysts' median forecast. Speaking at an economic conference in Sichuan, Zhang reiterated the importance of keeping the proactive fiscal policy and prudent monetary policy steady and continuous to proceed with targeted measures to lift the economy. 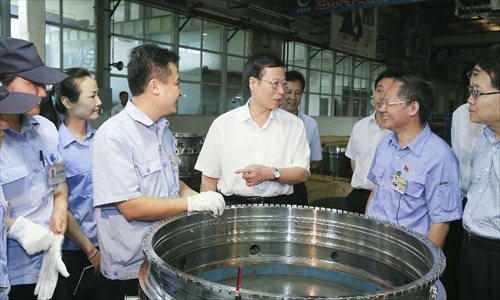 He stressed that the country should take long-term development into consideration during the current work, and properly handle the relation between stabilizing growth and promoting reforms to boost economic efficiency. Zhang also pledged more funding support to medium-, small- and micro-sized enterprises, export companies and high-tech businesses. 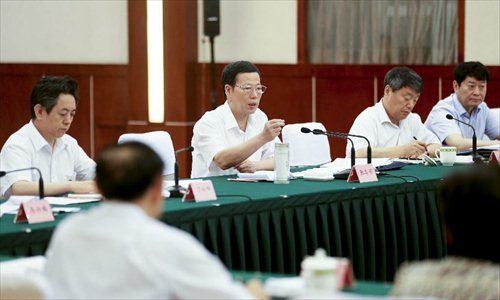 In another meeting focusing on reconstruction in earthquake-hit areas in Sichuan, Zhang urged scientific planning and proper use of support funds to help affected people and prevent secondary disasters.